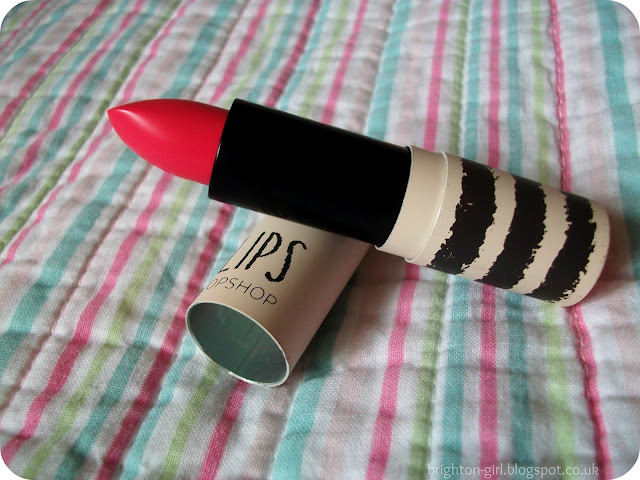 I couldn't resist buying Topshop's lipstick in Brighton Rock as a little treat to myself for my graduation. I ended up wearing a plain black dress from H&M so desperately needed a pop of colour in my outfit. This lipstick certainly delivered! Brighton Rock is a very bright pink, and definitely isn't for the faint hearted. Before purchasing Brighton Rock, I'd only ever bought nail polishes from Topshop's make-up range. However, Topshop has fast become one of my favourite nail polish brands, so I decided to see what else there was on offer. 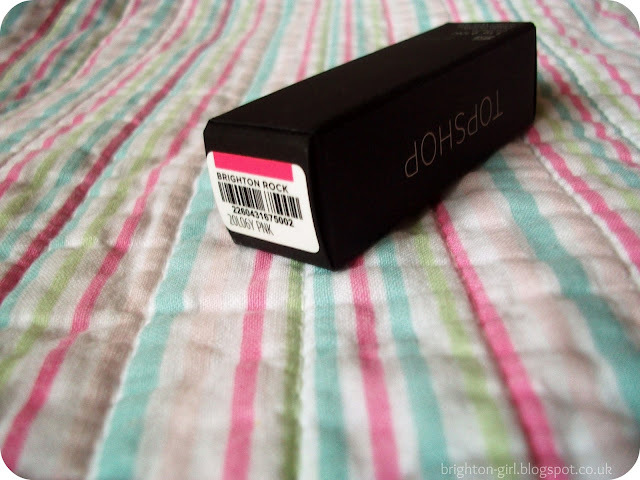 I have to admit, the name of this lipstick was the main attraction! I always tend to go for a neutral lip colour, typically favouring light pinks in the past. However, I decided to be more adventurous in my colour choices. I'm so glad I did! I never thought bright colours would suit me because I have very pale skin (I'm slightly paler than MAC NC15 foundation). All I can say is that my makeup colour choices will never be the same again! I found this lipstick worked really well with simple black winged eyeliner, long lashes and a hint of pink on the apples of my cheeks. 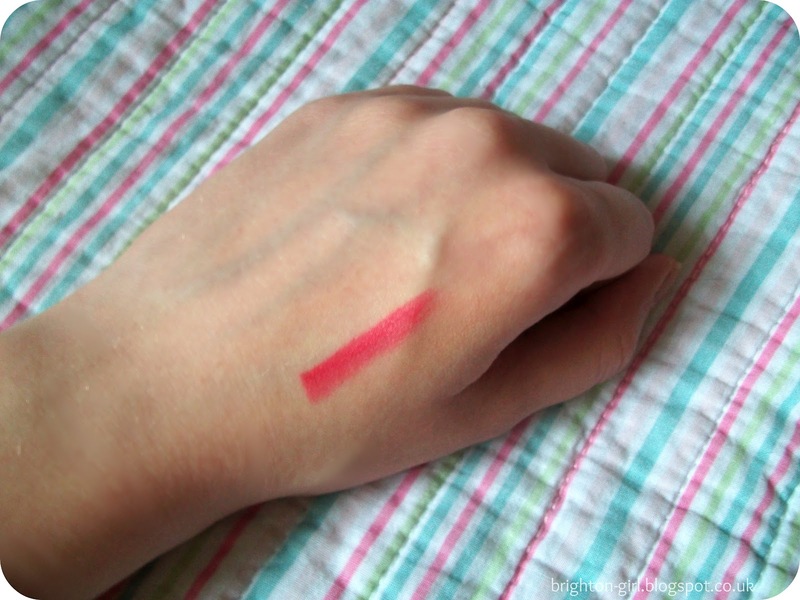 Brighton Rock is a matte lipstick which can be a problem if you have dry lips. Whilst wearing this lipstick alone, my lips did become a little dry but I've found that by keeping my lips moisturised with Carmex before hand solved this. I find that lipsticks never seems to last on my lips for more than a few hours and this one is no different. I really love the shade of Brighton Rock. I've never been able to find the perfect red lipstick, and have come to think that maybe I'm just a pink kind of a girl! Brighton Rock is a great shade if your looking for a bright pink matte statement lip. I also find that the matte texture adds versatility to the lipstick as you can always add a gloss over the top. I'm already eye-ing up a few more shades. I'd love to try Sartorial and Secret Admirer. 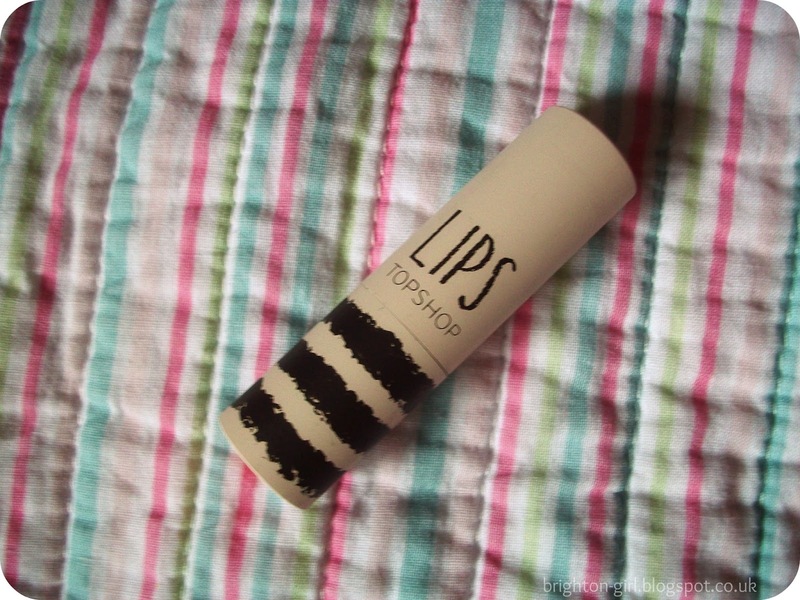 Have you tried any of Topshop's makeup? Or are you a fan of bright lips? I bought this the other day! It's gorgeous ! Sartorial is gorgeous as well - I always wear it when I go out. Great blog! thank-you for the comment my lovely, i can imagine this looks beautiful on! i love topshop's harzard it's amazing! love this shade. i'm not a huge fan of lip sticks. i'm more a chap stick girl, but i recently have been using up all of my sister's baby lips :) cute blog girl!